Famous as a ski resort and being in the shadow of Mont Blanc, the town of Chamonix is a great place to explore throughout the year whether it’s during May when the flowers are out in the meadows or in autumn before the ski season begins. Close to Geneva and linked by an excellent motorway system, it is located in the French Alps on the borders of Switzerland and Italy. Ideal for walking and biking, there are plenty of trains, cable cars and pathways to explore. The town has some excellent shops and there are also lots of places for families to visit including the local wildlife Parc de Merlet. If you are a hiker or a biker then Chamonix has many cycle ways and designated paths that can take you either along the valley or up into the mountains. One of the biggest advantages of this resort is the free transport pass, known as the Carte d’Hôte (Guest Card), which provides you with unlimited travel on the valley trains and local buses. The pass can take you to Argentiere from where you can go up to the glacier and you can go further to the village of Vallorcine which has a totally different feel from the rest of the region with its wide open fields. 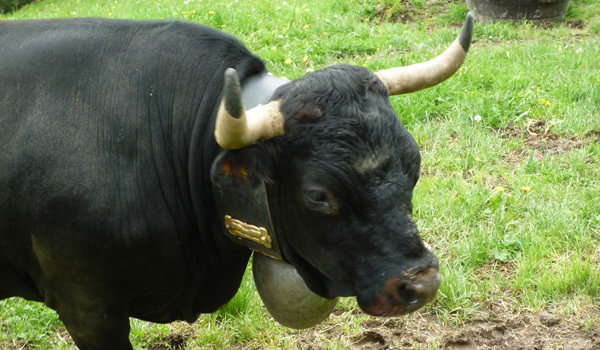 When you are in this area look out for the famous Herens, black fighting cows, grazing in the fields. Most people visiting the region also buy multi-passes which are helpful because of the changing patterns of weather. The twenty minute train journey up to the Mer de Glace, one of Europe’s biggest glaciers, is quite spectacular. Even when the weather is dull in the valley you can be pleasantly surprised as you go through the clouds into bright sunshine. 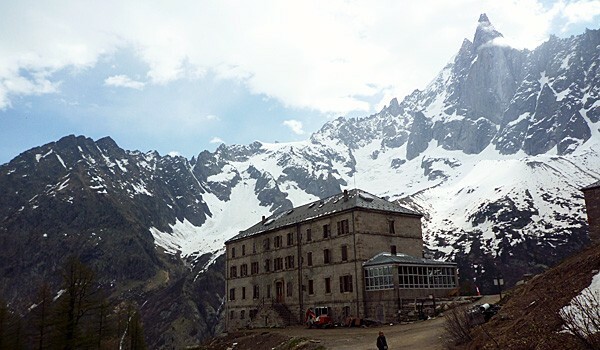 At the top you can visit the famous glacier reached by steps or cable car or enjoy a coffee at the delightful and historic Grand Hotel du Montenvers, a short walk from the station. Close by is a very good exhibition explaining about the glacier and also a display called the Temple of Nature. If you are into walking then you should take the number 2 bus to the Glacier des Bossons at the end of the line. From here it is quite a steep but enjoyable climb to the glacier which is one of the lowest ice faces in the Alps. Another option is to go on the number 1 bus to Les Gaillands where you can watch people practise their skills on a vertical rock face. Watching a four or five year old climb is quite something! There is a café at the bottom and also a very pleasant lake opposite. The location can also be reached by train. Walkers can enjoy a stroll along the river or a more strenuous hike along the Petit Balcon on the south side of the valley. A good walking map can be picked up from the excellent tourist office. For those wanting to go further afield there are a number of day tours, one goes to the beautiful town of Annecy with its market and spectacular lake. The drive over the mountains from Chamonix is quite breathtaking. 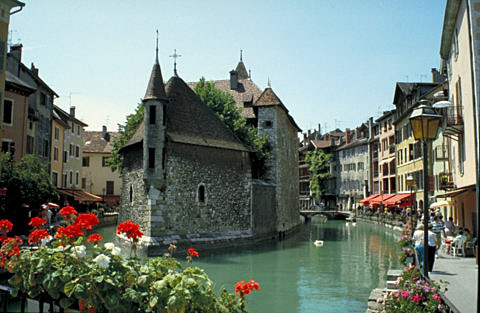 Annecy has lots of narrow streets and a fascinating castle. The park by the lake is particularly attractive with lots of seats and cafes. A walk across the bridge and alongside the lake is well worth the effort. There are organised boat trips on the lake together with a chance to hire a motorboat of your own or if you are feeling fit a pedal boat. 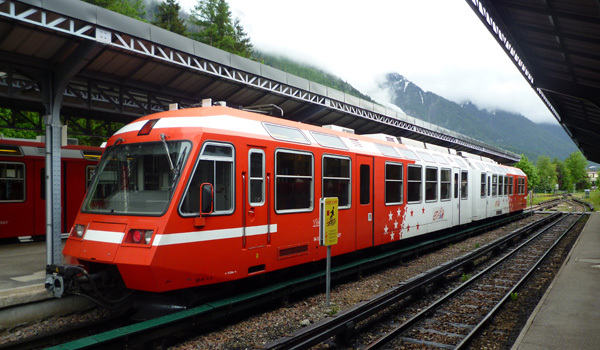 The Chamonix train pass takes you to Vallorcine in France, so if you want to go into Switzerland you will need to buy an extra ticket to Martigny. The second part of the journey from Vallorcine hugs the mountains with sensational steep gorges and magnificent vistas. In Martigny there is the Musée et Chiens du Saint-Bernard, the only museum in Switzerland dedicated to the St. Bernard breed of dogs where you will have the chance to meet some of the dogs and puppies. For those who are feeling more adventurous, a trip on the local St. Bernard Express is well worth the effort. 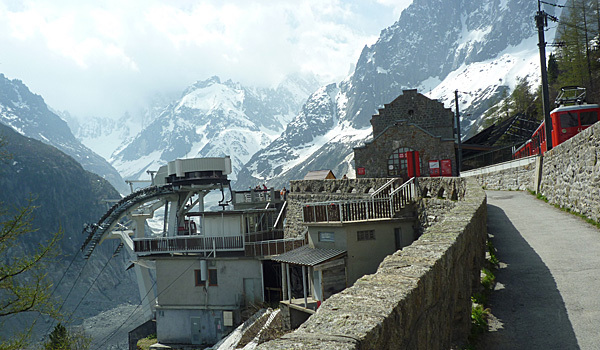 For those who like excitement there is the cable car just outside Chamonix which goes up to the Aiguille du Midi and the famous Void where you can stand on a glass floor and look straight down for thousands of feet. Not for the faint hearted! It is then possible to take a cable car across the glacier into Italy so don’t forget to take your passport. The town is also ideal for shopping with lots of independent boutiques and places to buy local produce including cheese and wine. There is an excellent market in the main square on a Saturday which includes food, flowers and clothes. Remember that markets in France start quite early so make sure you get there between 9 a.m. and 10 a.m. Many of the shops in the town centre sell outdoor clothing and shoes as well as souvenirs of the area. There are also specialists selling equipment for tackling the slopes of Mont Blanc and the glaciers. An exceptionally well resourced area, there is something for all ages and interests with plenty of local experts to help you out. However this is a very high, mountainous area and the weather conditions can change quickly, bringing low cloud and mist in a matter of minutes. So always be prepared. There are many different places to stay within the town and also in the surrounding countryside, from top quality hotels to private homes. Probably one of the best for location is the Hotel Sapiniere which is five minutes walk from the centre across an open green and overlooking Mont Blanc. 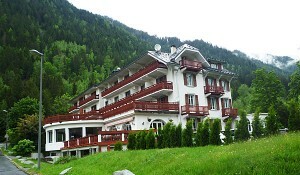 This is run as a chalet hotel in the winter and summer months. A totally different experience to the usual establishments, it is a place for skiers, walkers and bikers. Meals are eaten together and there is plenty of social life. Wine is included in the price as are cocktails and canapes. The staff are young and very enthusiastic. Other hotels and chalets you might want to consider include the Granges d’en Haut, a complex of individual chalets at Les Houches, or Residence Vallorcine located along the valley. Some more unusual accommodation includes aerial tents located in the mountains, these are suspended from the trees and overlook the summit of the Dru. 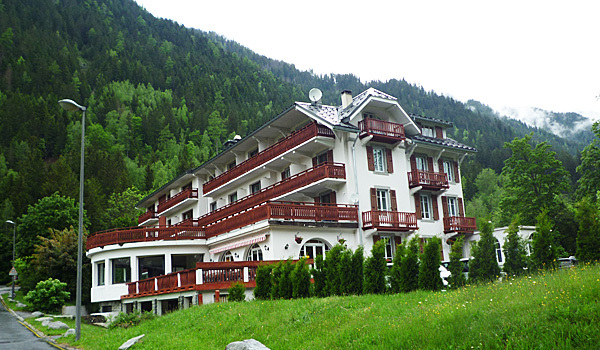 For more conventional accommodation there is the Mercure Hotel next to the station and the Hotel Le Montana & Spa, a chalet hotel at Argentiere. This has also recently been renovated and is ideal for families. In addition there are plenty of hostels, gites and bed and breakfast establishments in the area. 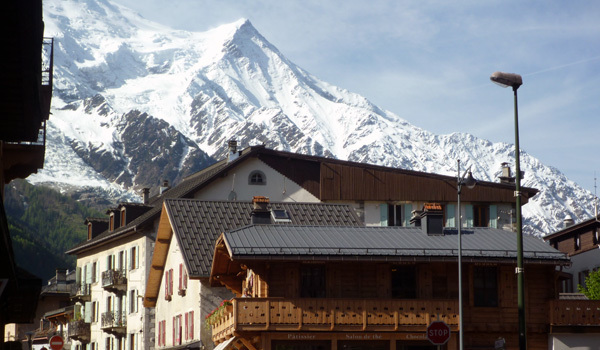 The best place to look for accommodation is by going to the Chamonix Mont-Blanc Tourist Office’s website. 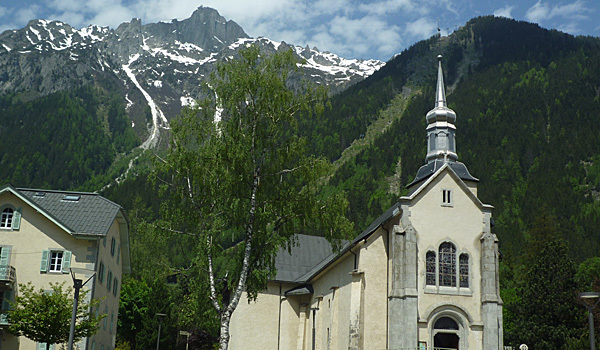 The area around Chamonix and along the valley is famous for its cheeses. These include Tomme de Savoie, Beaufort and Reblochon de Savoie, as well as Morbier which is unusual in that it contains a layer of ash. Lots of the cafes and restaurants in the town serve fondues and also raclette, a special type of cheese that is heated. The melted cheese is then scraped off a larger block. 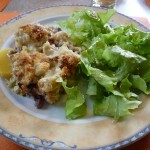 You may also be offered tartiflette which is typical of the region and made of Reblochon cheese, lardons, potatoes and onions. If you are in Chamonix you may see a Mont Blanc dessert — ice cream combined with a paste made of chestnuts and cream, a very delicious dish. 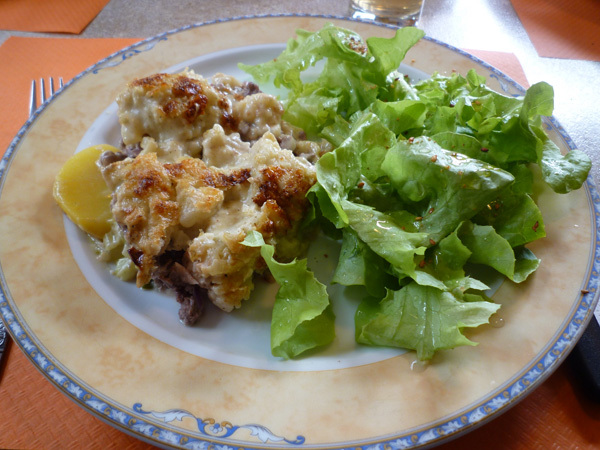 One of the best places in town to try some regional foods is the sports bar (Bistro des Sports). Here you will find lots of local people eating, drinking and just catching up on their day. The staff are very friendly and if you want to try something from the area that is reasonably priced then ask for their plate of cheeses and meats. They also produce a very tasty fondue. For cakes and macaroons you must go to Cote Macaron in Rue Joseph Vallot. The staff are young, the coffee is delicious and the cakes and pastries are to die for. In Annecy make for the Café Curt in the Rue Sainte Claire near the ancient town gate. They are extremely friendly, it has a great atmosphere and there is plenty of choice. The wines in the area are excellent with lots of good red and white. Over the border in Switzerland the wine mainly comes from the Valais and you will see plenty of vineyards as you travel around the area by train. There are plenty of bars and cafes in the town which provide music and entertainment on a regular basis. Chamonix also has its own casino which is in the centre of town — the Casino Barriere, open from 11 a.m. until 2 a.m. in the week and up to 3 a.m. at the weekends. Here they have roulette wheels, blackjack and a selection of slot machines. Tables are open from 8 p.m. in the week and 9 p.m. at the weekends. Nightclubs include Discothèque L’Amnesia and Chambre Neuf which are very popular with youngsters. Many of the bars are in the main street. The Sports Bar is a good place for a drink and has a lively atmosphere. Another favourite spot is Barberousse Chamonix which is a themed pirate bar. The town also has a cinema that it is worth checking out as the films are often shown in French and English. The church in the centre of the town sometimes holds concerts and it is a good idea to go into the tourist office to find out more about evening entertainment. Getting to Chamonix is quite easy due to the closeness of Geneva airport which connects with Zurich and the rest of the world. There are a number of indirect flights from the USA to Geneva with a variety of US carriers. A great advantage is the free travel pass which can be collected from your hotel desk. If you wish to travel on cable cars or up into the mountains then passes can be purchased from the tourist office. The train service through Chamonix connects with the Swiss and French network and beyond. There are plenty of buses along the valley and Le Mulet, a free shuttle bus service, connects major points within the town. There are plenty of taxis available but be warned they can be expensive. How To Get There: As noted by the author, the closest major airport to Chamonix is Geneva International Airport. Located about 60 miles northwest of Chamonix, Geneva is served by over 50 domestic and international airlines including British Airways, Emirates and United Airlines. Nonstop service to Geneva from the U.S. is available on SWISS (from New York JFK) and United (from Newark and D.C. Dulles). The cheapest and most direct way to get to Chamonix from Geneva is to take a bus. There are numerous bus companies to choose from, and roundtrip tickets start from €39 (approximately USD$45). More area transportation information for Geneva is available at here. Best Time To Visit: Known primarily for its winter activities, due to its location at the base of Mont Blanc, when you go will depend on what you’re interested in doing. For the hikers, May to September offers comfortable weather, ranging from the low-60s in the day time in May and September to high-70s in July. August is the wettest month, while April tend to get the least rainfall.